To investigate the prognostic value of diffusion-weighted imaging (DWI) in predicting clinical outcome in patients with cervical cancer after concurrent chemoradiotherapy (CCRT). We enrolled 124 cervical cancer patients who received definitive CCRT and underwent 3 T-MRI before and 1 month after initiating treatment. The mean apparent diffusion coefficient (ADC) value was measured on the tumor and the changes in ADC percentage (ΔADCmean) between the two time points were calculated. The Cox proportion hazard model was used to evaluate the associations between imaging or clinical variables and progression-free survival (PFS), cancer-specific survival (CSS), and overall survival (OS). In multivariate analysis, ΔADCmean was the only independent predictor of PFS (hazard ratio [HR] = 0.2379, p = 0.005), CSS (HR = 0.310, p = 0.024), and OS (HR = 0.217, p = 0.002). Squamous cell carcinoma antigen, histology, and pretreatment tumor size were significantly independent predictors of PFS. Tumor size response was significantly independent predictor of CSS and OS. Using the cutoff values of ΔADCmean, the PFS was significantly lower for ΔADCmean < 27.8% (p = 0.001). The CSS and OS were significantly lower for ΔADCmean < 16.1% (p = 0.002 and p < 0.001, respectively). The percentage change in tumor ADC may be a useful predictor of disease progression and survival in patients with cervical cancer treated with CCRT. • DWI is widely used as a potential marker of tumor viability. • Percentage change in tumor ADC (ΔADC mean ) was an independent marker of PFS, CSS, and OS. • Survival was better in patients with ≥ ΔADC mean cutoff value than with < the cutoff value. 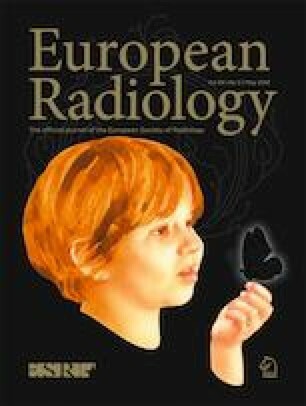 The abstract of this study was presented at 2018 European Congress of Radiology. The online version of this article ( https://doi.org/10.1007/s00330-019-06204-w) contains supplementary material, which is available to authorized users. We thank Hye Seung Kim, MS, and Insuk Sohn, PhD, of the Statistics and Data Center, Samsung Medical Center, for statistical assistance. This study was supported by the Basic Science Research Program through the National Research Foundation of Korea (NRF) funded by the Ministry of Education (NRF-2017R1A2B4006020). The scientific guarantor of this publication is Chan Kyo Kim. Hye Seung Kim, MD and Insuk Sohn, PhD kindly provided statistical advice for this manuscript.